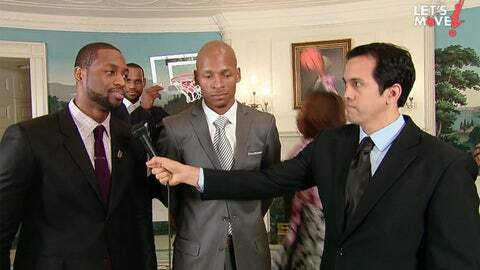 LeBron James, Dwyane Wade and Chris Bosh have all had a little fun with videobombing each other over the past couple years. Now you can add Michelle Obama to the list. The first lady got in on the act last week during the Heat’s White House visit as they produced a public service announcement for healthy eating.